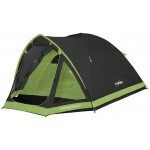 The Amazon 800 is revived this season and joins Vango's new Signature Range of tents for the 2012. 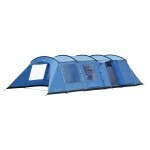 The Signature range is for those campers for whom a premium product with sophisticated design features is all important. 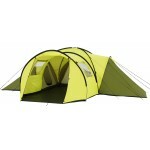 The Amazon 800 is a steel poled tunnel tent which offers a cavernous, open living area and no less than 4 spacious full height bedrooms. 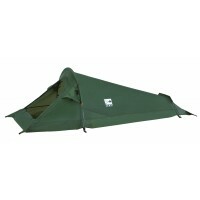 In addition, it also features a fully sewn-in groundsheet which fully protects the occupants from the outside elements. Because it's such a large tent, great importance has been placed on allowing plenty of light into the space and so a large front door, two canopied side doors and multiple large panel 'Crystal Clear' windows have all been incorporated to maximum effect. 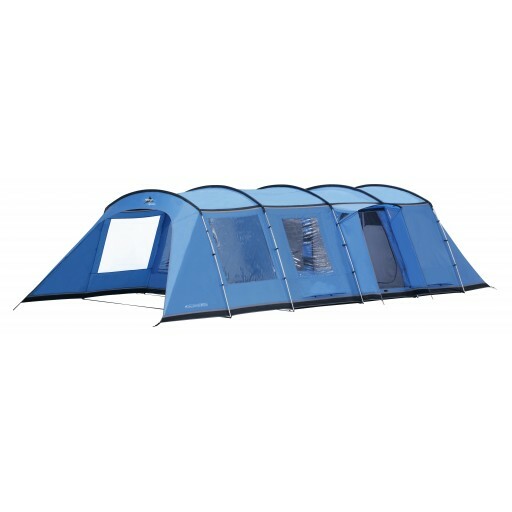 The Vango Amazon 800 comes complete with an integral sun canopy which has fully enclosed side walls plus canopy wings which extend overhead making this a perfect area for al fresco cooking and dining. 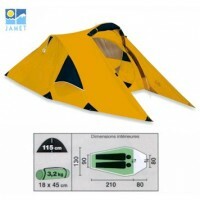 The tent is only slightly longer than the Amazon 600 and is the same width but additional hanging points have been included in the living area so that an extra 2-berth inner tent can be incorporated. 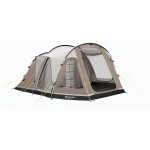 At the rear of the tent the bedroom configuration is as per the Amazon 600 featuring a 4-berth inner with zipped inner divider (converting to a 2+2) and a seprate 2-berth sleeping compartment which converts to a walk-in wardrobe if that is the preference. 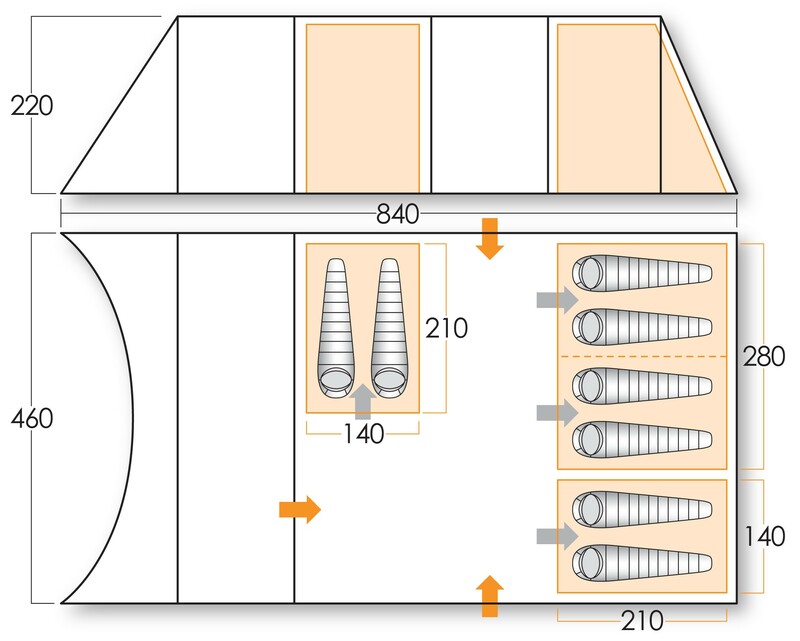 Another special design feature is the inclusion of a roof liner for the living area; this will help keep the tent cooler on hot days and warmer on cold. 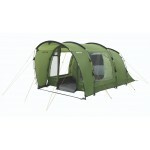 Other features include, flysheet first pitching, heavy duty Oxford external storm skirt, all 3 doors feature mosquito net double doors, low level vents, colour coded PowerPlus 22mm steel poles (pre-angled for rigidity), Protex 6000 embossed 75D polyester providing 6000mm hydrostatic head waterproof protection, 10,000mm HH polyethylene sewn-in groundsheet throughout, breathable 190T polyester 'lights out' inner tents with part mesh doors, roof liner, webbing guylines to key areas, hanging storage, pelmet, all windows feature internal privacy covers, cable entry point with cable tidies and lantern hanging point. Also included: Roller Bag (for canvas) and Carry Bag (for poles); Repair kit; Flame retardant materials throughout; Mallet & Plastic Power Pegs; Fully wind & rain tested; 40 minutes pitch time.